Angela Daulby, Channel Director of Kepak Convenience Foods, speaks about lunchtime habits. 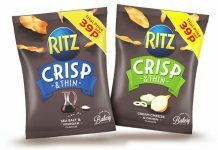 The days when people opted for a simple sandwich and crisps have long since gone, with people instead looking for more choice, with a selection of hot and cold options that can be enjoyed as part of a lunchtime meal deal and eaten onthe- go. Meal deals should offer a perceived value for money to the consumer. Shoppers expect two to three items for £3*1 and there are numerous examples of retailers offering complementary products as part of a deal e.g. a Rustlers microsnacking product and a hot or cold drink. It’s easy to implement, boosts cross-category sales and provides consumers with the value they’re seeking. 27.5 million UK adults buy lunch outof- home each year*2 highlighting the opportunity for retailers. Add to this that 60% of all micro-snacking is purchased to be consumed at lunch means it is critical that retailers get the lunch-to-go fixture right*3. 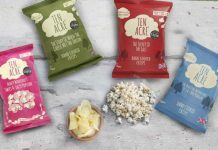 Chilled micro snacks such as market-leading Rustlers enable retailers to offer consumers quick, hot, tasty food that, with simple cooking solutions, can be heated on the premises enabling retailers to compete with high-street foodservice outlets. The Rustlers Super 6 PMP range includes the best-selling microsnacks in the market. 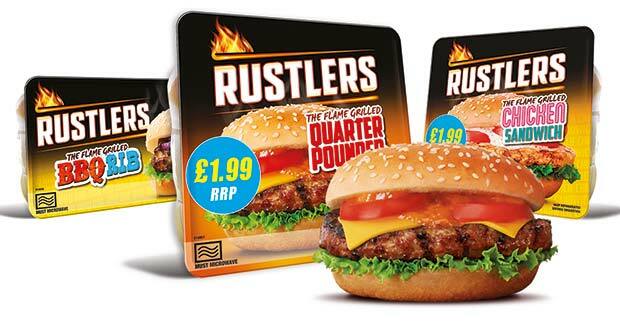 The range includes the Rustlers Flame Grilled Quarter Pounder (the UK’s number 1 microsnack* 1, with 28 packs sold every minute*2 and already bought by over 2 million households. It also includes the Rustlers Flame Grilled BBQ Rib, the UK’s second best-selling microsnack* 1 and Rustlers Flame Grilled Chicken Sandwich, popular with female shoppers. Completing the line-up are the Rustlers Deluxe (Bacon Cheeseburger), with 45% YoY growth in convenience alone*3, the Rustlers Southern Fried Chicken Hot Sub, which has brought the mass market Subway format into microsnacking, and the Rustlers Pepperoni Panini , a favourite for lunch on-the-go. 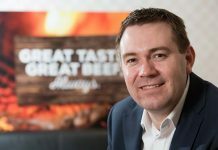 For retailers looking to introduce hot food meal deal options to their store, the Rustlers branded Hot Food-To-Go Microwave Unit has been shown to boost sales by 86%*4. It is ideally placed next to the frontof- store chiller or with other drinks/food-to-go facilities, which act as a signpost for shoppers. To maximise visibility, it is supported with free POS that communicates to shoppers that they can heat up the products in-store after purchase. The all-in-one integrated Hot Food-To-Go Unit is pre-programmed to cook the best-selling Rustlers SKUs, but it can also cook other microwavable products. It also comes with a large preparation area and built-in waste bin to keep the surrounding area tidy.